Hook enthusiasts and fans when you distribute the colorful Golf Camp Flyer. 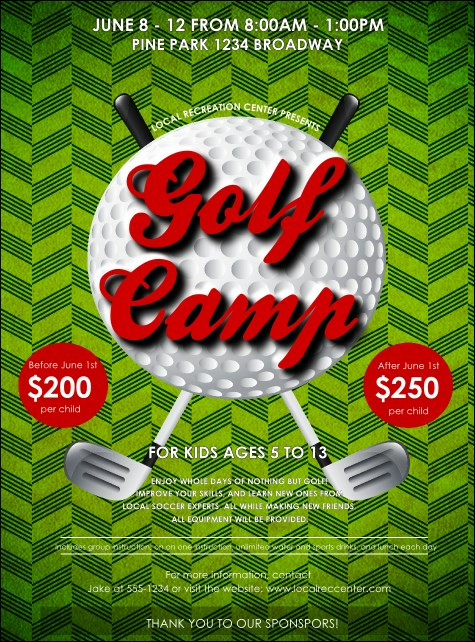 This vivid design template features a patterned green background, a large golf ball in the middle, and two clubs in the back. This design works for tournaments, workshops, and clinics. Find the right flyer for every swing at CanadaTicketPrinting.ca.